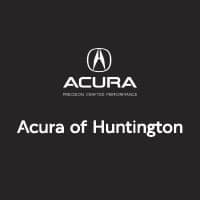 At Acura of Huntington, we are proud to offer the stunning new Acura RDX for sale, an SUV with a practically endless list of technology features. Recently announced, the 2019 Acura RDX took home the “Wards 10 Best UX” award for innovative tech. This praise for its “ease of use and intuitive functionality” came from the experts at WardsAuto, a top industry website out of Michigan. The award, which was started in 2016, recognizes vehicles that enhance the lifestyle of the customer by making technology user friendly. The True Touchpad feature includes an all-new design with an interface that combines a conventional 10.2-inch, full-HD touchscreen and remote-based approaches. This display sits right ahead of the front center console for convenient use, and it is labeled the world’s first use of “absolute positioning” in the driving environment. In other words, this new display helps drivers keep their eyes on the road while still being able to utilize the vehicle’s ultra-tech features on a touchscreen display. It helps promotes safe driving around Huntington, NY while allowing our customers an all new driving experience when it comes to use of navigation, satellite radio, AcuraWatch, and phone and audio features, too. It’s only fitting that our best-selling compact luxury SUV model was chosen for the award. To learn more about this award or any of our additional Acura models near Long Island, NY, we welcome you to come by our car lot anytime.